I had a long travel day yesterday. I went through boxes of things I’ve stored. Yet never saw the light of publication. I was in my twenties when I wrote it…. While reading nursery rhymes to her daughter. And I immediately quit the manuscript. A sadness came over me that turned to insecurity. What if all my writings just wind up in a box? When the only one who sees them is me? I want to see my name on a book cover! I want accolades that come with being a published author! And become a published author? So frickin’ difficult and long? 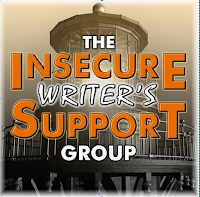 What insecurities did you have to overcome? P.S. The title of this post was to coincide with DIA DE LOS MUERTOS. (Day of the Dead) which ended yesterday.